Automatic Dish Gel 64 oz (case of 6)  : Welcome to Sheepish Distribution!, All Natural Care Products! 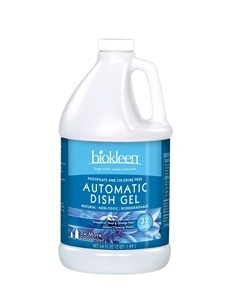 Biokleen Automatic Dish Gel removes tough baked-on-food and grease without the use of toxic chemicals. Your dishes, glassware and flatware will come out spotless and free of chemical taste and residue.